Team Superman vs. 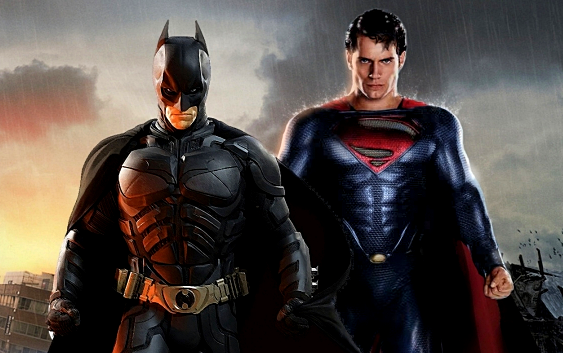 Team Batman : Which of the Two #SmartHeroes Would You Team Up With? Imagine you're a superhero and you find yourself in the extremely difficult situation of having to choose between the Man of Steel and the Dark Knight to be in a tandem with in saving our dear planet from the clutches of evil. Who would you choose? I know! That'd be quite a dilemma. I mean, both of them are absolutely amazing -- and I don't think one is particularly better (overall) than the other. Let's try to weigh both sides by laying down their strengths and limitations as superheroes. Superman is extremely strong, faster than a speeding bullet, has heat vision, and can fly! That's a lot! However, he has one weakness: Kryptonite. On the other hand, Batman is very agile, great at hand-to-hand combat, super intelligent, tech savvy, and somehow always manages to come out on top against all odds! Just like all of us, though, he is human and is subject to all-too-familiar frailties. Personally, I admire both of them not just for their powers or special abilities but because of their 'character'. Think about this: Superman could have easily ruled the entire planet with all of his out-of-this-world skills but instead he chose to use all of his gifts to save and serve mankind. And while Batman lacked any real superpower, he proved that with training, dedication, and the desire to help others anyone - including you and me - can become a superhero! Now, ain't that something? I don't know. This side-by-side comparison just made it even harder for me to pick a side. I guess I'll just have to watch Superman and Batman movies again on iflix to see which of the two #SmartHeroes will resonate with me a bit more -- and I know I can rely on my Smart subscription to gain access to those cool video content. For instance, there's the new Big Bytes 50 that comes with 350MB for mobile data allocation surfing and access to top social media apps and games, plus 600MB of videos and music from YouTube, Vimeo, Skype Qik, Daily Motion, Spinnr and iflix – all valid for three days for only Php 50. Smart subscribers can register to Big Bytes 50 by simply dialing *121# - the all-access portal for all Smart promos. Sweet! 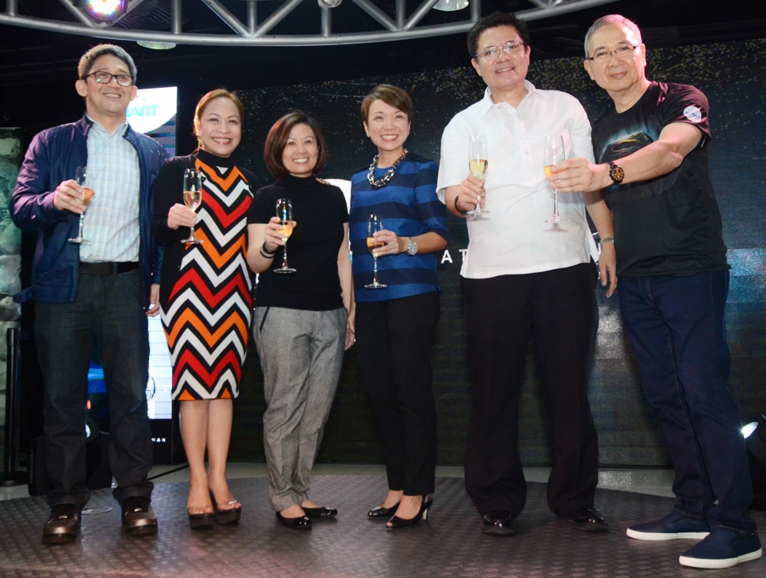 In partnership with Warner Bros., Smart Communications also takes the lead in bringing the much-awaited 'biggest movie of 2016' - Batman v Superman: Dawn of Justice - beyond the film into the digital realm at the fingertips of subscribers through exciting mobile content, such as videos and interactive online challenges on its dedicated portal. For every top-up of Big Bytes promos (50, 99, 299, or 799), Smart Prepaid, Smart Postpaid and Smart Bro subscribers can start earning and accumulating e-raffle entries. They will be notified via SMS to choose their side - either TEAMBATMAN or TEAMSUPERMAN - and send this to 238. Whichever experience they choose, lucky subscribers can get a chance to win a trip for two to Japan or Hong Kong to experience an adventure inspired by the lifestyles of iconic heroes Batman and Superman! The Batman experience gives the winner an exciting driving experience through the streets of Tokyo with a professional guide, and a luxurious seven-course meal at the Tokyo Skytree, Japan’s tallest tower that offers a stunning 360-degree view of the city. On the other hand, the Superman experience takes the winner to an adrenaline-pumping jetpack flight, as well as an exhilarating Superman-style Sky Jump from the Macau Tower. "We are thrilled to partner with Warner Bros. Pictures as the official mobile partner on Batman v Superman: Dawn of Justice in the Philippines, which further widens our lead and effectively boosts our already extensive digital arsenal that is now coupled with larger-than-life perks and super-sized treats, which our subscribers can get a chance to experience every time they subscribe to our data offers. This partnership is also the perfect vehicle to strengthen our thrust in providing every Filipino with the best mobile video experience through our full-packed data offers and expansive network coverage all over the country. 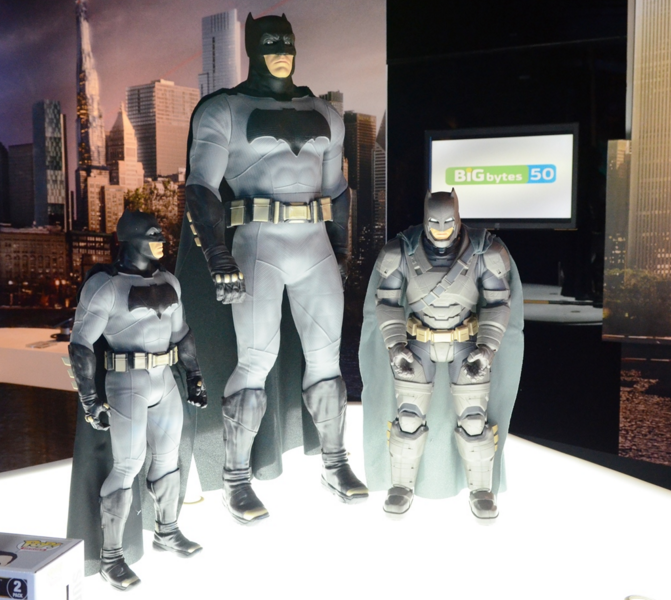 With Big Bytes 50, Smart subscribers are able to bring the Batman v Superman: Dawn of Justice-inspired experience at their fingertips: by watching exclusive videos on Smart’s dedicated Batman v Superman: Dawn of Justice portal, checking out trailers on YouTube, sharing reviews on Facebook, debating who will win on Twitter and even uploading inspired photos on Instagram. It doesn’t matter whether you’re for Batman or Superman, as long as you choose Smart." shared Mr. Ariel P. Fermin, Executive Vice President and Consumer Business Head at PLDT and Smart. 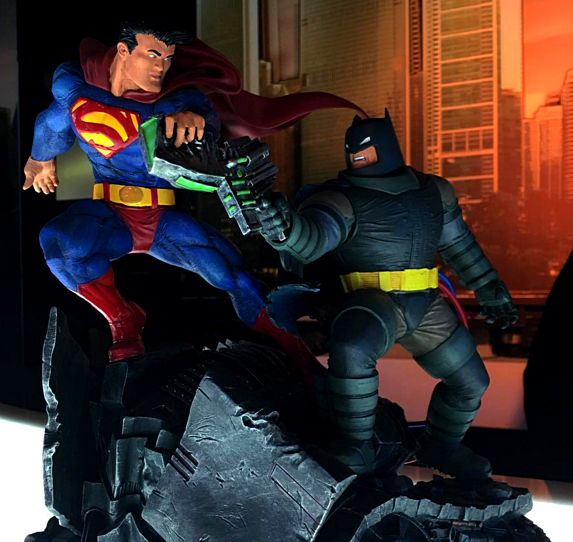 Going back to my initial question, TP Friends: Between Superman and Batman, who do you prefer to team up with? Let me know your answer via Twitter, Facebook, or Instagram by using the hashtags #Superman or #Batman, and adding #SmartHeroes to your post. *whispers* Frankly, after watching some trailers of the upcoming movie on Youtube, I'm starting to lean more - if a bit - towards Batman (oh my!). How about you, guys?